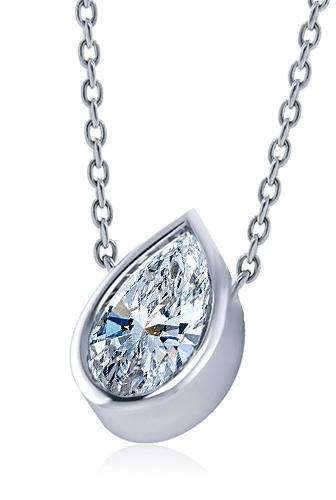 The 1.5 Carat Pear Shape Bezel Set Cubic Zirconia Solitaire Pendant is stunningly styled in an elegant and modern necklace setting. 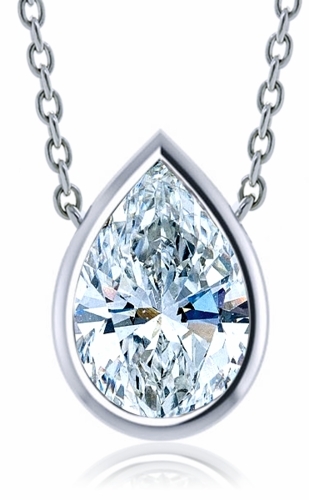 The 1.5 carat 9x6mm pear shape cubic zirconia has 58 hand cut and polished facets and is shaped like a sparkling teardrop. 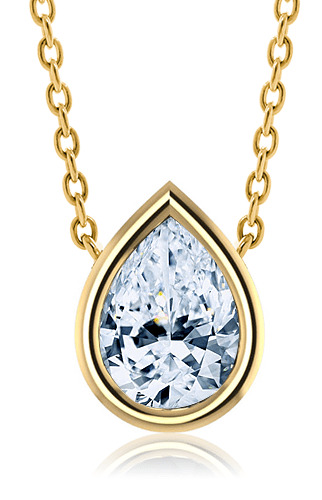 The brilliant pear solitaire style station type necklace is placed in a bezel set tube like framed mounting, encasing the entire depth of the pear diamond look cubic zirconia stone, allowing it to lay flat against the chest and face forward. A delicate fine rope chain is affixed and attached to either side of the bezel accentuating the beauty of the bezel setting, creating the look of a stationary floating solitaire pendant. When seeking a fantastic gift idea, this pendant will do the trick. 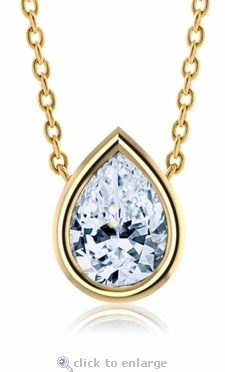 This pear solitaire pendant can be worn from day to night, casual or formal and can be worn in many combinations by wearing different shapes, carat sizes, metal options and chain lengths to achieve many different looks. A large variety of carat sizes are available. Stone color options include white diamond look, red ruby, blue sapphire, green emerald, canary yellow diamond color and pink diamond look. Metal options include 14k white gold, 14k yellow gold and 14k rose gold. 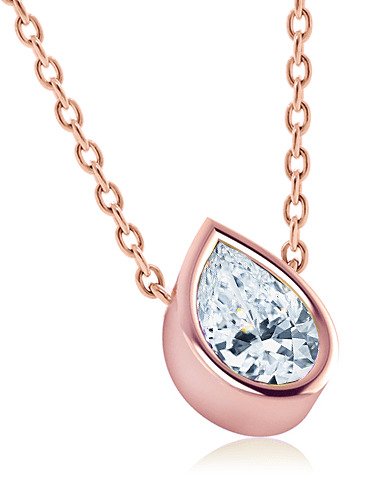 You can also have these pendants custom made in 18k gold or precious platinum via special order. Choose from a 16 inch fine rope chain or an 18 inch fine rope chain. For further assistance please call us directly at 1-866-942-6663 to speak with a knowledgeable representative or communicate with us via live chat.